Welcome to The Gurgaon Bakers Insights section on cake making and cake craft! Follow the latest goings on with our insights which covers useful knowledge articles which any baker would like to read. It covers topics from wide variety including on cake making, how make cake, cake decoration ideas, cake craft in general, baking classes and other relevant topics on the subject. Our article section is updated regularly, so keep checking back for updates! You can sign up for the newsletter, in case new article is published it will be shared with you. Which Wedding Cake Should I Order? We’re serving wedding cake tips that no one tells you! The question has been popped. You’ve said YES! And, your nearest and dearest are all excited. The date has been finalized! And, there are a million details to plan. In today’s guide, we help you plan and order the perfect wedding cake. Let’s get started. Even if you know nothing about wedding cakes (other than that they are soooo pretty and yummy), the more informed you are about flavours, styles, and wedding cake delivery, the better your decisions. 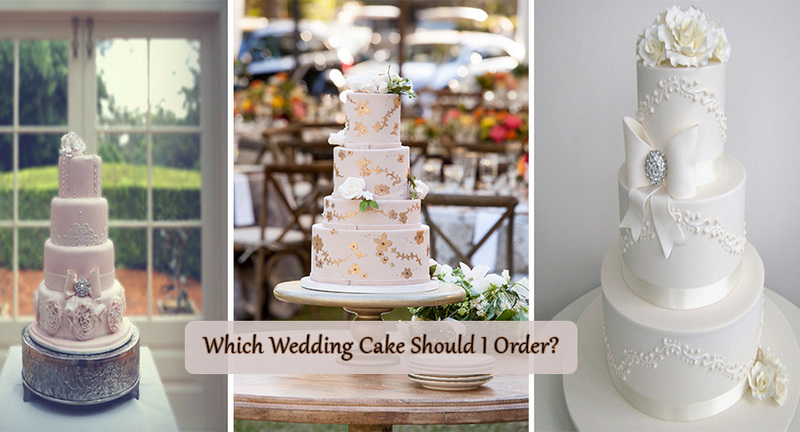 Continue reading to pick the perfect wedding cake. Recently, we came across a news article that states that you should reconsider accepting the slice of cake served to you at birthday parties. As avid cake lovers, that was like a bolt out of the blue for us. After all, who in the whole world would reject a piece of yummy birthday cake, topped with delicious icing? The news article stated the results of a study by a team of researchers from Clemson University, in South Carolina. 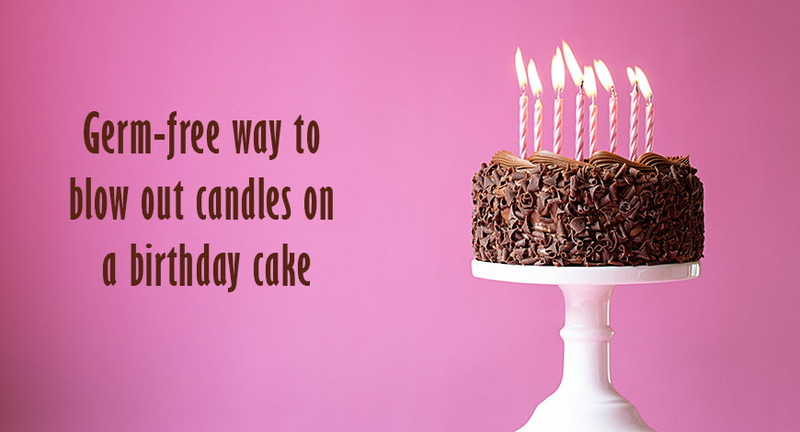 According to the study, researchers found that blowing out birthday candles on a cake, increased the bacteria count on the cake by a whopping 1400%. Are those Shiny Glitters on Your Cakes Safe to Eat? Glitter cupcakes, glitter churros, glitter lattes, glitter milkshakes, and even rainbow glitter pizza – glitters have taken the world over by storm. People are reaching out to sparkly foods to win likes on Instagram. As the trend of glittery foods takes off, skeptics want to know whether they are actually safe to eat? 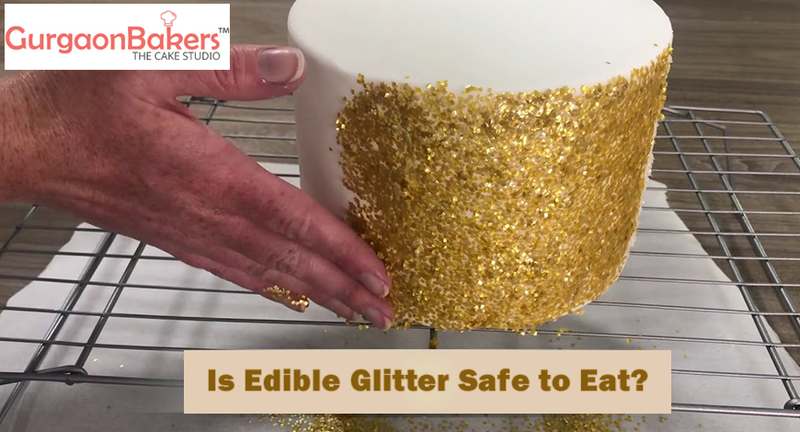 The FDA (Food and Drug Administration) released a statement asking people to eat glittery foods with caution and to use only glitters that are marked safe for edible usage. Here, in today’s post, we share the good and bad about this latest food trend. Ok, you have spent hours – planning, designing and creating a gorgeous edible masterpiece cake. Now, comes the final hour – the nerve-wracking process of delivering it safely from your kitchen to the venue. While delivering a cake may seem simple at first glance, there’s more to it than meets the eye. You need to plan carefully, every tiny inch of the transit to avoid any mishaps. Additionally, you need to have the right tools on hand to save last minute accidents that may occur. Worry not, today we give you a comprehensive guide on delivering cakes safely. Made with just two ingredients – egg whites and sugar, meringue requires minimal efforts, but the results are spectacular!! Meringue is one of those goodies that looks incredibly simple but requires an expert hand to get it right. Join us, as we help you master meringue with these simple tips. 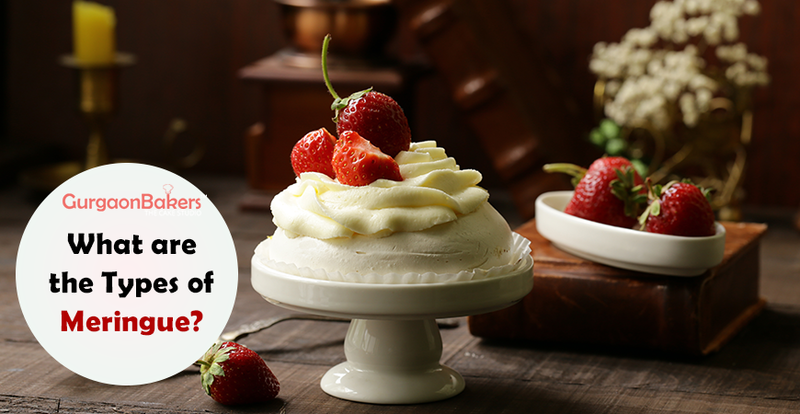 What are the Types of Meringue? 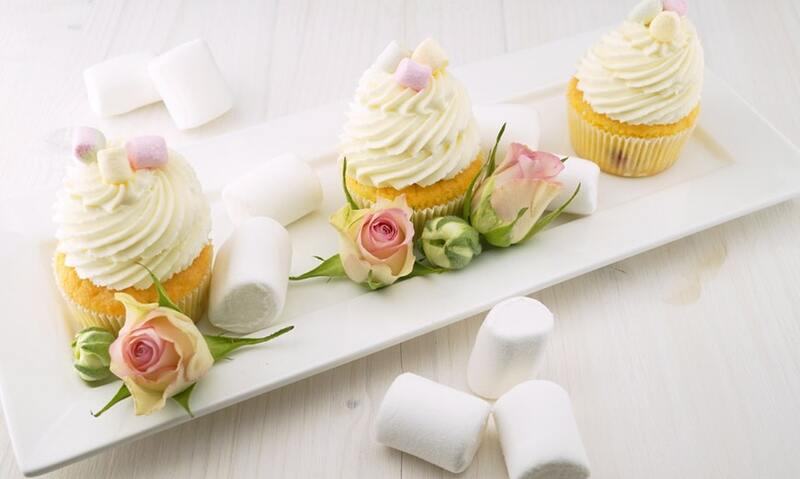 French Meringues – This is the most common type of meringue and is the easiest. It’s made with just egg whites and sugar. Italian Meringues – This method involves pouring the hot sugar syrup into your egg whites. Swiss Meringues – This uses the same ingredients as French meringues, but you need to whip up these ingredients on top of a hot water bath, thereby forming fluffy and whipping light peaks. Do you drool over the spectacular tiered-cakes you see in our gallery? 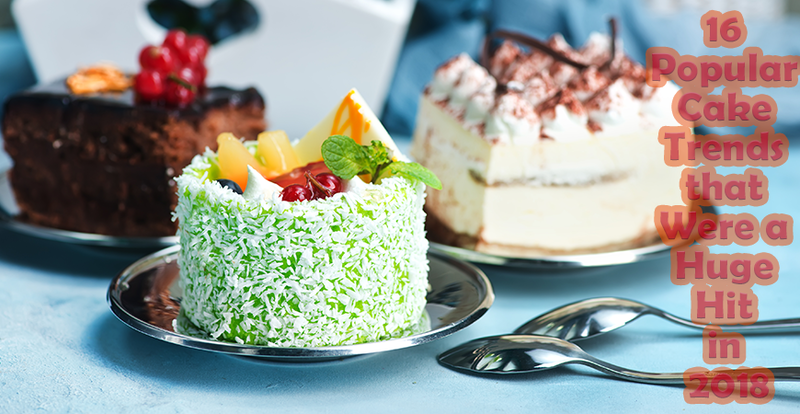 Wondering how we manage to stack up delicate layers of fluffy cakes to create edible masterpieces? Here, in today’s post, we show you a sneak peek of the “secret” hardware tools that we use here in our kitchens, at Gurgaon Bakers. We can read what’s running on your minds right now – hardware tools in a baking kitchen? 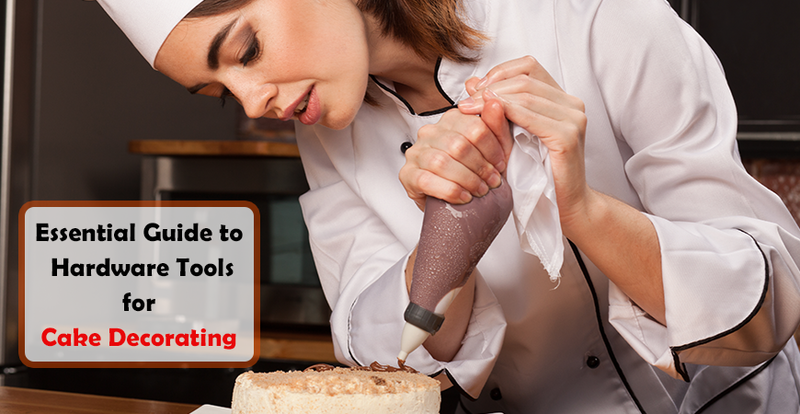 What do hardware tools have to do with cake decorating? After all, don’t you just need a mixer and a balloon whisk? Yes, while we have cupboards of regular cake decorating tools, we also depend on some hardware store finds from time to time. These tools are used for a range of purposes from providing cake support to adding that perfect finishing touch. We show you some of the “out-of-ordinary” tools that we store in our pantry. Just like fashion, trends in cakes change from year to year. As we come to the end of 2018, let’s take a look at the most popular cake trends that dominated our social media feeds in 2018. Scroll on for gorgeous cakes that look like they should belong in a museum. Move over fruity flavours. 2018 was all about floral notes. From rose, lavender to hibiscus and others, this year there were plenty of cakes using flowers not just for decorating but to add to the flavour. Flower power adds a subtle yet mysterious botanical flavour to regular everyday cakes transforming them into something truly delectable, and a treat for the taste buds. The healthy baking trend has caught on big time in 2018. In fact, healthy baking became the “new normal,” and everyone from home bakers to major food magazines was jumping in on this bandwagon. More and more bakers are swapping sugar, flour, and butter for healthier alternatives. Is a loved one’s birthday coming up? Don’t settle for the same old balloons and party hats! Instead, get creative with this list of the most creative and unique birthday party themes that are trending right now. We know deciding on the theme for a birthday party is a huge challenge. This is why, we’ve collected some of the most interesting themes around, to help you and your guests enjoy the big day. And, for the most awesome themed birthday cakes in Gurgaon, you know where to turn. Just specify your birthday theme, and our creative cake artists will create a stunning culinary delight that will serve as the centerpiece of your event. 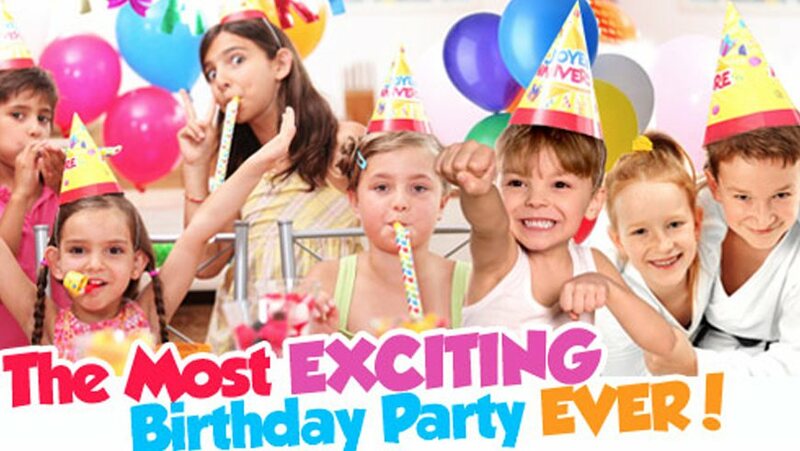 We also provide complete birthday party catering, including return gifts. Here, at Gurgaon Bakers, we love to share our love for “All Things Baking,” with you, our dear readers. We don’t just want to give you recipe after recipe. Instead, we hope to inculcate the love of baking in you. To truly fall in love with baking, you need to get your basics right. And, this series is all about – getting the science of baking right so that you can turn it into an art. Today, in this post, we share with all that you need to know about eggs in baking and its multifarious roles. When it comes to baking, eggs play a huge role. They not only contribute to the flavor of the baked dish but are also responsible for giving structure and texture. Let’s take a closer look at the role of eggs in baking. Planning a birthday party for your kid is both fun and exhausting. Here, in today’s post, we give you some fabulous ideas and smart tips to save money, time and your sanity, while preparing and planning for your kiddo’s next birthday party. When it comes to kids’ birthday parties, next to the birthday cake, the most anticipated item on the list is the return goody bag. Instead, of just giving gifts that will get thrown to the corner, why not think some creative ideas that every young guest will love? The festive season is around the corner! You’re likely to have dozens of chores lined up. From making those time-consuming Indian mithais to making sure all your home decorations are ready, there’s plenty to do. And, to add to this never-ending list of chores is – baking! Here, we give you yet another baking ninja strategy that we use around here at Gurgaon Bakers. When you have plenty of cakes and other desserts, passing out of your kitchens, day-in, and day out, you have two options: Either wake up at 3 a.m. to bake everything from scratch (and, we do that frequently around here) or pick up some tricks along the way to achieve freshly-baked goodness in a flash. Stay tuned as we give you the secrets for freezing your dough and batters. Save valuable time and preserve your sanity, instead of slogging in the kitchen for hours together. With these workarounds, you’ll be serving freshly baked goodies without breaking a sweat. Without any further delay, let’s get started! Here, in today’s post, we focus on “Ganache.” From giving you a simple fool-proof recipe for making a smooth, silky ganache to answering the common questions about ganache, read on to find all that you need. You’re all confused. “Should you make it at home or should you get it from a professional bakery?” That’s one of the most difficult decisions to make. 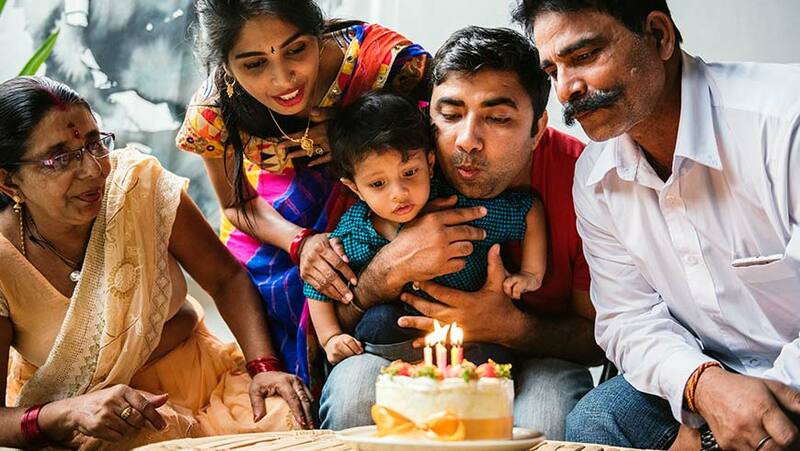 After all, you want to express your love for your kiddo, by baking his/her birthday cake. Well, no. Ganache is a type of frosting and frosting is the catch all phrase that denotes all types of icing used for cakes. 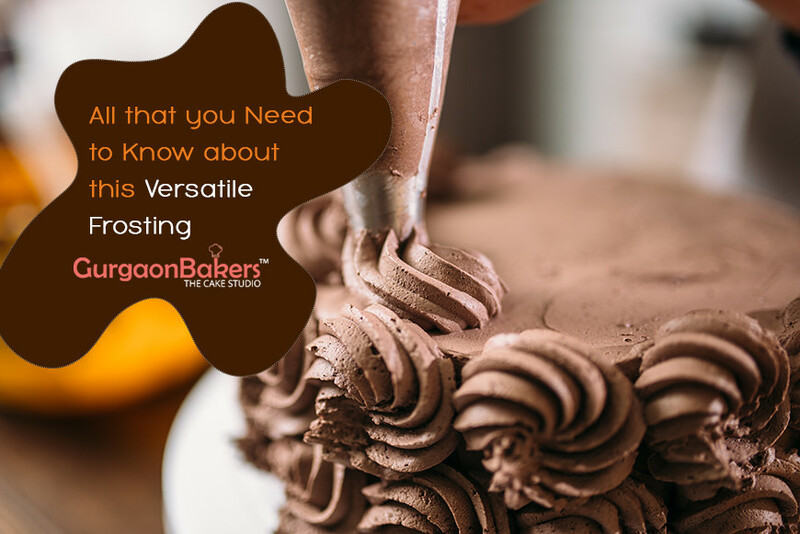 Some of the popular types of frosting we use in our cakes are – American buttercream, Swiss meringue buttercream, fondant, fresh cream frosting, and ganache. Want to become a better home baker? Pssst…. Let’s tell you a secret – You have to keep on practicing and learning. Here in today’s post, we’ve come up with a list of traits and essential skills that all amateur bakers should know. How many of these skills do you already have mastered? Baking is indeed a master act of juggling. You need to have a sharp mind to organize everything – from forward thinking what ingredients you need to work your way through stages of the recipe, you have to stay alert at all times. When you’re a baker, you have plenty of things to think ahead. To give a simple example, you need to make sure that your ingredients are at room temperature and your oven is pre-heated before you even begin making the batter. Also, it doesn’t work out if you find that halfway through the process, you’re missing a key ingredient. Baking needs plenty of organizational skills that aren’t explicitly mentioned in the recipe – Wiping down the kitchen between steps, cleaning and reusing measuring cups, weighing ingredients before use, preparing the necessary equipment and more. It’s no wonder that they say – baking is a science. Like scientists who work in the labs with accurate and precise steps, you have to be organized in the kitchen. When we were young, one of the most anticipated days in the whole year was of course – our birthdays. It meant having a party, where all your friends and relatives came to wish you and shower you with presents, wrapped in shiny paper and tied with a big bow. This was the one day of the year, when you were sure that you wouldn’t get in trouble with your parents, even if you were up to something naughty. And, the best part – your parents and siblings treated you special the whole day. Ahhhh – those lovely memories. Pretty candles, yummilicious, decadent chocolate cake, beautiful dresses, tons of candy and everything sweet! So, what happened? Why don’t adults look forward to their birthdays? Why do birthdays pale away as we grow older? 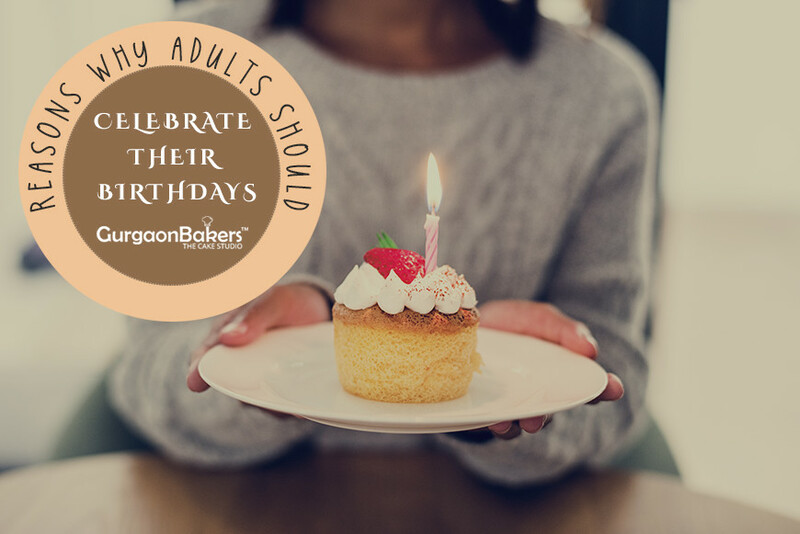 Here, in today’s post, we give you the top reasons why adults should celebrate their birthdays. 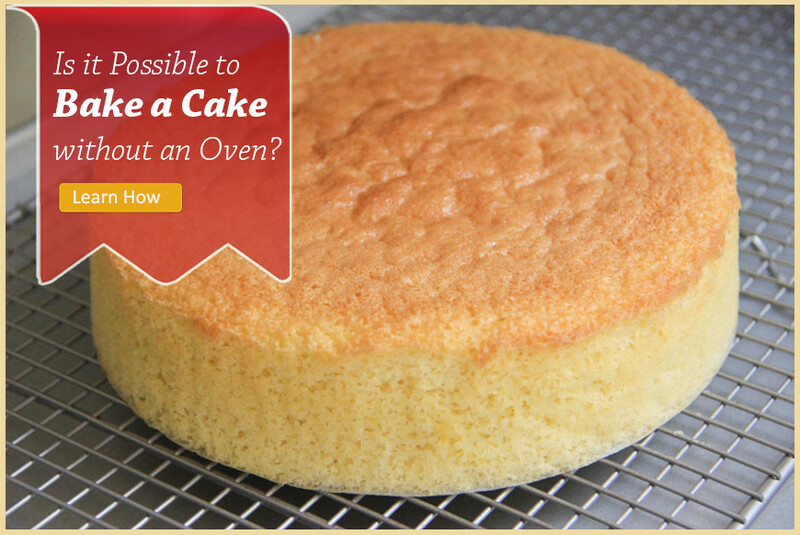 Is it Possible to Bake a Cake without an Oven? Yes! If you’ve been putting off cake baking for so long, since you don’t own an oven, fret not! Here, in today’s post, we give you two methods of baking cakes in your kitchen, without an oven. Yes, you read that right. No fancy gadgets and exotic ingredients. We give you three fail-safe methods to bake the best cakes at home, with ingredients you’ve got lying around in your pantry. No more excuses, for not baking a cake. Without further delay, let’s get started. Baking at times can be stressing. From measuring a ton of ingredients to cutting and serving, there’s a lot going on. And, even expert bakers could do with a little help from time to time. 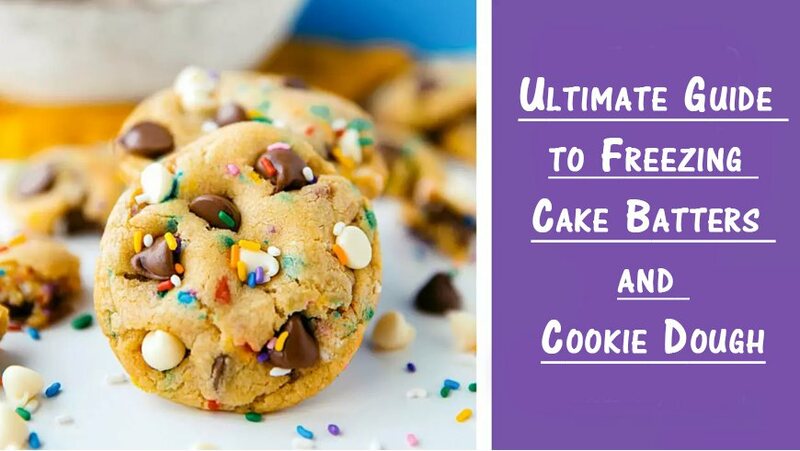 Here, in this post, you can find a list of fantastic baking hacks that streamline your baking process and make your life way easier in the kitchen. We’ve all been there. You’re hands deep in flour, only to realise that a critical ingredient is missing from your pantry. You look around, only to find that your kitchen counter has more flour than your mixing bowl. Baking can be a headache at times. Worry not, here are some time-tested hacks to take the stress out of your baking. From assembling your layers to applying frosting, here’s all that you need to know about constructing the perfect Layer Cake. Layer cakes are more than a baking project. They are a piece of art, and you need a crafter’s technique and precision to get them right. Mastering the art of making a “Perfect Layer” cake doesn’t happen overnight. It requires time and patience. 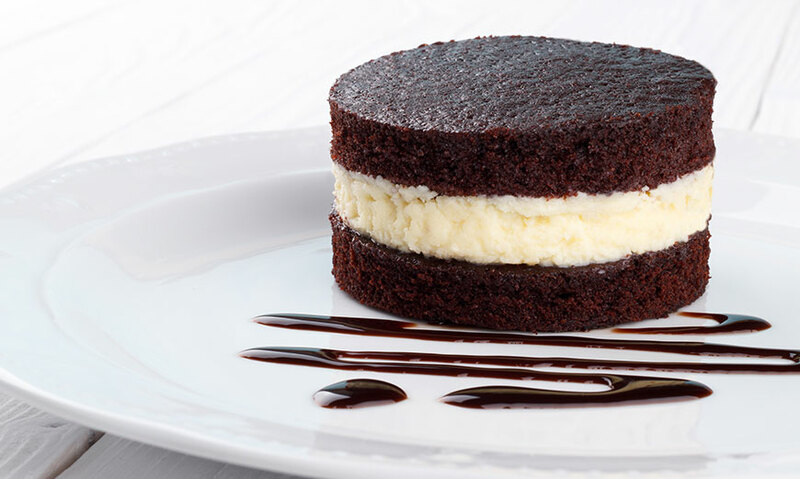 With that said, most bakers, even experts are intimidated while making this stunning, impressive dessert. But, it is way easier, than you think. Here, in today’s post, you can find all that you need to know to make a perfect layer cake from scratch. This is quite a long post with plenty of tips and secrets. So, grab a cuppa of coffee and settle in for an illuminating read. We’ve divided the post into different sections, so you get an idea of what to do in each step. 10 Healthy Birthday Cakes for Kids that Taste Delicious & Look Smashing! Whether you have a toddler, pre-schooler, tween, teen or even an adult kid, a fun, delicious birthday cake is something that is a MUST for kids’ birthday parties. After all, nothing spells P-A-R-T-Y like sinking your teeth into a yummy, absolutely delicious cake. But, kids these days are exposed to alarming levels of sugar in their diet. Be it the biscuits they munch on, or sugar drinks they sip, everything comes with a bucket load of refined sugar. This not only leads to cavities, the dreaded sugar rush but is a major cause of childhood obesity. But, that doesn’t mean you have to cut back on desserts! NO! Now, you can satisfy your kiddo’s sweet tooth with healthy cakes that taste surprisingly good. All that you Need to Know to Create Dainty Charming Lace Effects on your Cakes. Is there anything that spells elegance, timelessness and oodles of charm at a wedding than dainty, feminine lace? Now, you can enjoy pretty lace on your wedding cake. Yes, you read that right! Presenting you with Edible Lace, the highly sought-after wedding cake trend for 2018! Baking Trends come and go, but what remains constant is that “Cupcakes are the ultimate comfort food.” Birthdays, kitty parties, breakups – there’s no occasion which is unsuitable for a cupcake piled high with yummy buttercream frosting. Have never wielded a piping bag before? Or don’t own even a single piping tip? Worry not, make use of these three insanely simple ways to frost your cupcakes. Are you ready to make the best cookies for Santa? It’s that time of the year again! The halls are decked, fairy lights are hung up, and the whole city takes on a festive air. And, bakers all over the country are rolling out mounds of dough to prepare a plate of freshly-baked cookies for Santa. Give your desserts and baked goodies an extra punch this holiday season, by adding in a little booze! Be amazed by the dramatic changes in flavour that a few drops of alcohol can bring! Baking Basics: Baking Powder Vs. Baking Soda - What’s the Difference? Can you use one instead of the other? Find out Now. Welcome back to another installment of Baking Basics, here at Gurgaon Bakers. 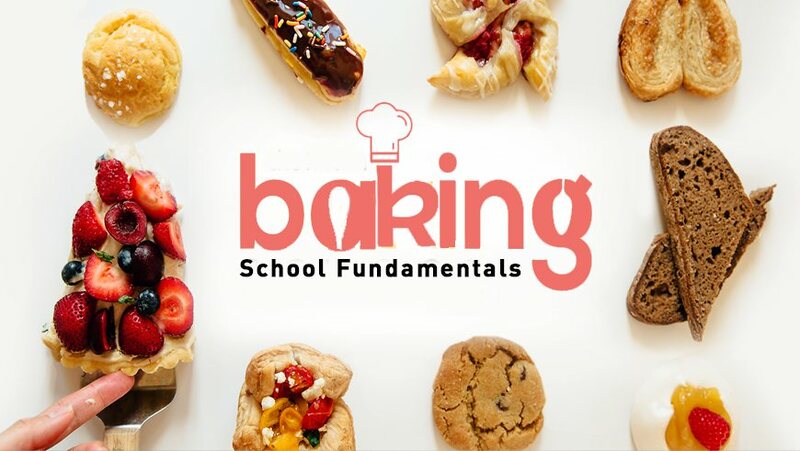 In this series, we give you insights and tips to get your basics right, so that you can go ahead and earn your mastery in baking. Have you ever wished that you could create a cake that looks professional? In this post, we teach you all that you need to know about using sugar paste icing aka fondant for a fancy birthday cake. Don’t be intimidated by the fancy terms, just give it a try! Do you love cupcakes? (Come on, who doesn’t enjoy these adorable bite-sized desserts?!!) Tried replicating them at home, only to meet with disaster? Fret not, our team of expert bakers, here at GurgaonBakers, to your rescue. Here in this post, we help you bake picture-perfect cupcakes that not only taste heavenly but also look simply irresistible. Let’s get started! All that you need to know to get started with Vegan and Gluten-free Baking! If baking is science, then does it make vegan and gluten free baking rocket science? Chocolate and baking go hand in hand. Stepping back in Time to Unravel the History of Cake and Cake Decorating! The Ultimate List of Alternatives to Make your Baked Goodies Healthy & Diet-Friendly from The Cake Maker!! The Icing on the Cake: Buttercream Vs. Fondant – Which works better for a Summer Event? Muffins versus Cupcakes - An Epic Battle! THINK DIFFERENTLY TO SURPRISE YOUR BROTHERS ON THIS RAKSHABANDHAN! WAY TO WRITE GREETINGS ON A CAKE! CLEAN YOUR OTG OVEN IN 6 EASY STEPS! CONFUSED ABOUT WHICH CAKE TO CHOOSE FOR YOUR NEXT THEMED PARTY? GOOD REASONS WHY YOU SHOULD TAKE A BAKING CLASS! HOW TO KEEP THE CAKE FRESH! 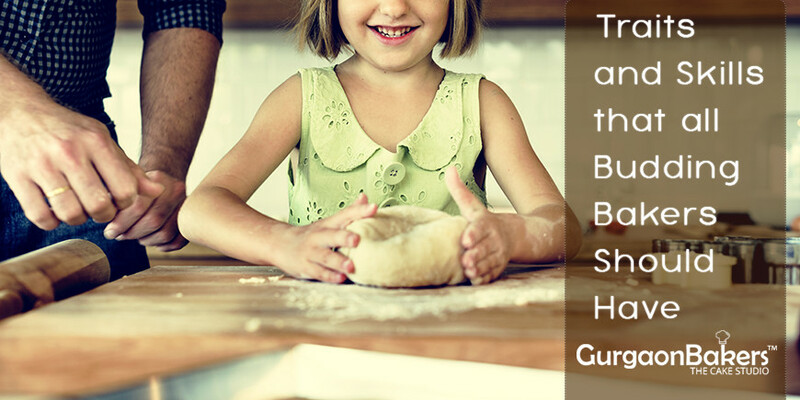 HEALTHY BAKERY RECIPE FOR YOUR KIDS. 6 BEST REASONS WHY FRESH HOME BAKED PRODUCTS RULE THE ROOST. HOW TO MAKE AWESOME HOMEMADE BAKED DOUGHNUTS.